If you have been using low-quality, illegal add-ons to watch TV shows and movies on Kodi, STOP! Firstly, they could land you in legal trouble. Secondly, there are plenty of great, content-packed add-ons that are perfectly legal, so why take the risk? 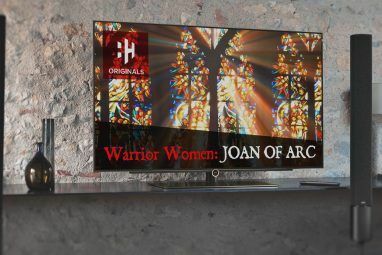 Here are the best Kodi add-ons you didn’t know you needed, but should install right now. Charge is a live TV service that’s entirely free to watch. It offers action movies, TV shows, sports, entertainment, and even the occasional series. Download the app in Kodi’s official repo. The Comet TV add-on is made by the same developer as Charge. Like Charge, it offers 24/7 live streaming. Comet TV’s focus is on science fiction. You’ll find old movies, classic TV shows, cult series, and forgotten gems. For more modern content, check out the best sci-fi movies on Netflix 10 of the Best Modern Sci-Fi Movies on Netflix 10 of the Best Modern Sci-Fi Movies on Netflix Science fiction is a tricky genre to get right, which means there are plenty of terrible sci-fi flicks to avoid. But Netflix has a bunch of excellent ones that you can't miss. Read More . Tubi TV is the first on-demand add-on in the list. It has more than 20,000 TV shows and movies, all of which are both free and legal to watch. The app is ad-supported, hence the extensive library. You won’t find the latest blockbusters. To give you a taste, movies such as Jeepers Creepers, Afterlife, and Bandits are listed. Much like Netflix, the available content you see will vary depending on your geographic location. Tubi TV is available in the BG Addons Repository. FilmRise’s YouTube channel is one of the best ways to watch legal movies. The add-on lets you access the same library from your Kodi app. The company behind the app is a film acquisition and distribution company, so the quality of the available movies is solid. ABC Family carries a selection of the best family-friendly content from the American TV network, ABC. Some content is available without making an account. If you are outside the United States, you will need to use a VPN. YouTube has offered live streaming since May 2013, but it wasn’t until mid-2017 that the minimum subscriber level was reduced to 100. The change has meant YouTube has become a treasure trove of live content. You can find everything from 24/7 music videos to news. This add-on makes the live streams easy to browse and watch. It’s available in the Fusion repo. USTVNow is a paid service for U.S. citizens who live abroad. 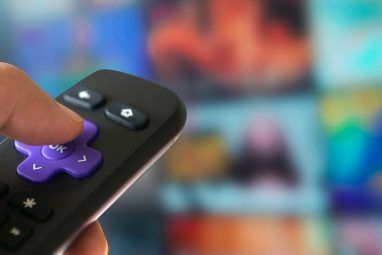 For $19/month, you can watch ABC, Fox News, ESPN, BBC America, AMC, and more. On-demand content is also available. Who wouldn’t love to learn to cook better? The Cooking Channel, which is produced by the same team that’s responsible for The Food Network, can help. There’s a mountain of content to work through, with stuff arriving constantly. Again, users outside the U.S. will need to run a VPN. Pluto.TV offers a mix of on-demand content and live TV channels. It provides access to mainstream networks like CNBC, Sky News, Bloomberg, and Cheddar, as well as internet-only channels such as The Nerdist and IGN. If you’re in the U.K. and pay your TV license fee, you can use the unofficial BBC iPlayer app. It provides live streams of the network’s TV channels and a vast library of on-demand content. Despite being unofficial, the app is available in the official Kodi repo. Popcornflix is no relation to the controversial Popcorn Time movie streaming app Is Popcorn Time Safe? How to Torrent Safely Is Popcorn Time Safe? How to Torrent Safely Popcorn Time is illegal. If you're thinking of using it, here are several things you should know before you put yourself at risk. Read More . The add-on offers full-length movies, trailers, clips, and TV series legally and for free. You can also watch on the web or by using the company’s smartphone apps. TBD TV is a channel for millennials. Its content includes web films, scripted and unscripted series, and featurettes. It also owns the rights to some feature films. They form the backbone of the TBD Movie of the Day, which runs seven days a week. Twitch is essentially YouTube for gamers. You can watch other people play your favorite titles, listen to some (often hilarious) commentary, and chat with other people. TV Land is a Viacom-owned cable and satellite channel in the U.S that’s been running for more than 20 years. Its bread-and-butter are television series. It offers an enjoyable mix of new and classic shows. You’ll also find the odd limited theatrical release movie and original series. Plex is Kodi’s great rival, with most users committing to one of the two apps. So, if you’re a Kodi user, why should you install Plex on Kodi? Well, you’ll gain access to Plex’s unofficial channels 20 Unofficial Plex Channels You Should Install Right Now 20 Unofficial Plex Channels You Should Install Right Now With the Unsupported AppStore, you can unlock new Plex content to watch. Here are the best unofficial Plex channels to install. Read More , which will massively increase the amount of content you have available to you. YouTube boasts 400 hours of video uploaded every minute, 5 billion videos on the platform, and 50 million content creators. Just install it already. Adult Swim is an adult-orientated offshoot of the Cartoon Network. It screens animation, mockumentaries, sketch comedy, and live action programs. It offers a large number of syndicated shows, including King of the Hill, American Dad, and Family Guy. TVPlayer is another add-on for people based in the U.K. If you’re located outside the British Isles, you’ll need to use a VPN to tune into it. It provides more than 100 channels, including the full complement of leading British networks. The TVPlayer add-on is available through the Fusion repo. MovieZoot is a legal way to watch thousands of Community Commons or copyright-free films. As such, the quality varies dramatically, but you can be confident you’ll always be able to find the latest indie film that the hipsters are talking about. You’ll also have access to old classics such as To Kill a Mockingbird, A Farewell to Arms, and God Created Woman. MovieZoot is available in the Fusion repo. NewsON is a joint venture between five of the largest TV stations in the United States and offers 170 channels from 108 American cities. The NewsON add-on is geo-restricted, so you need to be located within the U.S. to watch the streams. It’s one of the best ways to watch live news on Kodi The 12 Best Kodi Add-Ons for Watching Live News The 12 Best Kodi Add-Ons for Watching Live News Cordcutters have always had a tough time watching live news. However, there are now some solid free Kodi add-ons dedicated to live news feeds. Read More . These legal Kodi add-ons should mean you never run out of content, but if you’re still looking for more, we’ve previously detailed how to watch live TV on Kodi. 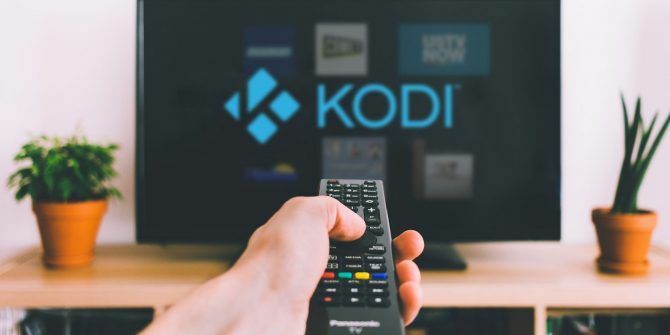 And if you would like more information about any of the technical details we have briefly touched on above, be sure to read our beginner’s guide to setting up and using Kodi How to Use Kodi: The Complete Setup Guide How to Use Kodi: The Complete Setup Guide Our beginner's guide shows how to install the Kodi software, how to navigate through the initial setup, and how to load add-ons. Read More . Explore more about: Kodi, Media Streaming, Television. Kodi is for serious amateurs and chumps. Plex is where it is at. Vastly superior. I maintain a Plex Server for other people. I use Kodi (with a shared database back-end) for myself. Plex is handy for sharing content outside my home, but Kodi's playback options are vastly superior. This is particularly important in its ability to support things like 7.1 channel audio or DTS. It's true that you can tell Plex to use a third party application as a media player, but then you lose the ability to track your viewing progress within a file. I have some personal annoyances with how Plex handles music as well, but I somehow doubt that's a major use of Plex, even for people who run Plex Media Servers. There are actually a number of treasures in the official Kodi repositories, including the ability to back up and restore your Kodi installation and a tool to upgrade Kodi to the newest version, which is handy for people whose Kodi platforms don't allow for easy updates. The only way to really enjoy Kodi is with a VPN. I went with ExpressVPN because they offer router apps, but almost any VPN app will do. Kodi is utterly fantastic as a presentation tool for content you already have. There's zero reason to have a VPN for that and in fact the only reason to bugger about with VPNs at all is if you're doing something that would be illegal where you live. Kodi is not necessarily an access point for illegal or quasi-legal content. Without naming specific addons, conflating Kodi with those things isn't doing Kodi or its users any favors. Viewing illegal content is mostly what Kodi and Plex are for and if you are doing that a VPN is a good thing to use. Both Kodi and Plex are frameworks for viewing content regardless of source. Both are agnostic toward the source of that content, just as VLC or Windows Media Player are. Both support access to over the air streaming of live TV, LAN local content and any number of legal streaming services. If you're using an Addon that uses torrents as a transfer mechanism; if you have privacy concerns about connecting to questionably-legal-but-within-the-letter-of-the-law services like a Debrid host or someone's rehosted IPTV then yes, you probably need a VPN. But there's no intrinsic reason either Kodi or Plex has to be paired a VPN.